We are participating in the National Women Build Week. For the week leading up to Mother's Day, women at Habitat affiliates around the world devote at least one day to help families build strength, stability, and independence through housing. The week is meant to spotlight the homeownership challenges faced by women and to empower women to make changes in the world. We're building on Saturday, May 5 in Harrisburg, Oregon. All women who want to learn how to build and construct a home are invited to join us. No experience is necessary. Volunteers work under the guidance of construction professionals and alongside other volunteers and future Habitat homeowners. Whether you are learning new skills or simply adding a few to your tool belt, this is a rewarding experience for all involved and improves the community that we all share. Women Build is also a terrific way to involve your friends and family in crucial work with a lasting impact. Women helping women sends a positive and powerful message. You can also come alone and make new friends. The atmosphere at our builds is always collaborative and friendly. Are you ready to build with us? The deadline to sign up online has passed. Please call the office at 541-998-9548 if you are interested in participating in this great event! 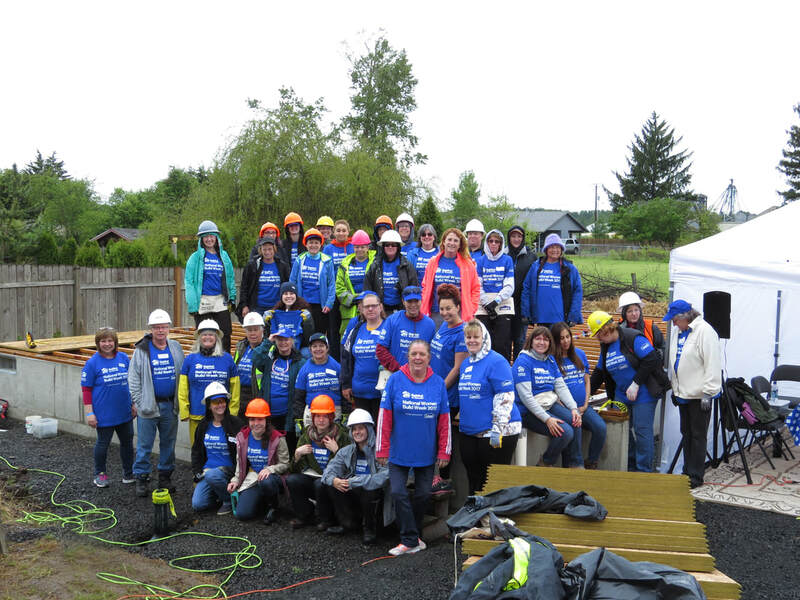 To participate in the May 5, 2018 Women Build project in Harrisburg, Oregon, please fill out the Volunteer Sign Up form below. The project's volunteer coordinator will contact you with more information. Lowe's professionals will be offering training at their Eugene location on May 1 (Safety and Painting Skills) or May 2 (Safety and Framing Skills) from 6:00 p.m. to 7:30 p.m. These training sessions are valuable and highly recommended! When you sign up, we will contact you to give you more information on the trainings! ​There will be a mandatory safety training the morning of the event. We'll all want to get started right away on Saturday morning! These links will take you to the safety packet and release forms that we'll need from all participants!